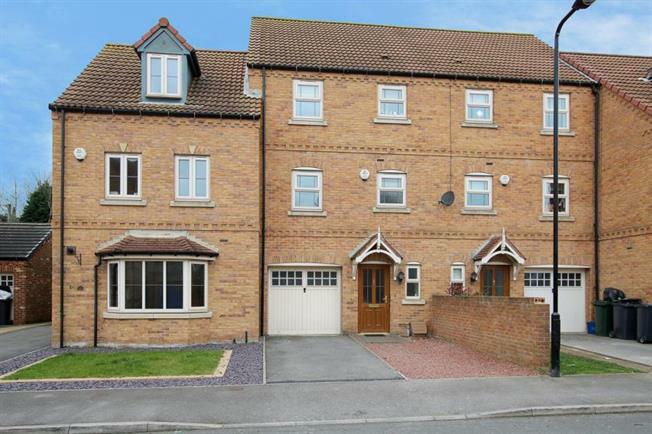 4 Bedroom Town House For Sale in Rotherham for Guide Price £210,000. Stretching over three floors boasting dining kitchen with family area, cloak room W.C. en suite to master, integral garage and enclosed garden. All modern in style, decor, fixtures and fittings! Boasting ideal location for popular schools, amenities, leisure clubs, supermarkets, eateries and transport links along with easy access for the M18 & M1 motorway links. In brief the layout of the property comprises of: Entrance hallway with storage, cloak room w.c, family dining kitchen, first floor landing, lounge stretching the width of the property. Second double bedroom currently used as a dining room and the family bathroom. Located on the second floor: landing with loft access, master bedroom with sizable en suite and two further bedrooms. Outside: to the front of the property is a driveway giving access for the integral garage. To the rear is an enclosed garden with patios and lawn. Viewings are a must to take true appreciation of this lovely home.